Two months after David and Shelly Yankowsky spoke to 500 people about the death last year of their son, Adam, of an opioid overdose at the age of 25, their younger son, Sean, succumbed to his drug addiction. Sean Michael Yankowsky, 21, died Saturday of a drug overdose at a friend’s home in Bangor, his mother said Monday. Adam David Yankowsky died Aug. 7 at his parents’ home in Glenburn. 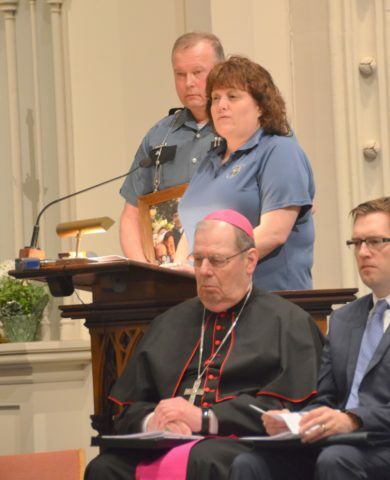 Maine State Trooper David Yankowsky and his wife, Shelly Yankowsky, a police dispatcher, speak at an April 25 interfaith opioid healing service about the death of their son Adam Yankowsky of an overdose at their home last year. Shelly Yankowsky of Glenburn said Monday that she knows her boys are together again and at peace because they no longer are struggling with their addictions. Like his older brother, Sean attended Glenburn Elementary and All Saints Catholic School. They graduated from Bangor High School. Adam’s birthday was June 19. Sean would have turned 22 on July 10. The Yankowskys, who both are employed by the Maine State Police, have no other children but are helping raise their two young grandchildren, whose father is Adam. Shelly Yankowsky posted Sean’s obituary on her Facebook page Monday morning. She and her husband believe it is important to be open about the impact drugs are having on young people in Greater Bangor. 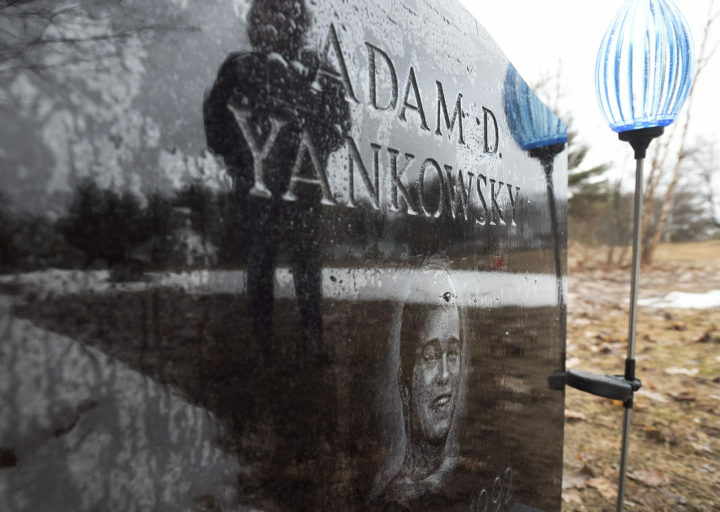 Shelly Yankowsky is reflected in her son's gravestone in Glenburn. Shelly’s son Adam Yankowsky died in August 2017 of a drug overdose. Shelly told the gathering in April that it is important to remember that the person is not the addiction. Bangor police continue to investigate Sean’s death to determine what drug or combination of drugs were in his system, his mother said. A record 418 Mainers died last year of drug overdoses, including Adam, according to the Maine Attorney General’s Office. In the first quarter of this year, 86 people died. Sean’s death will be included in the 2018 overdose death figures. 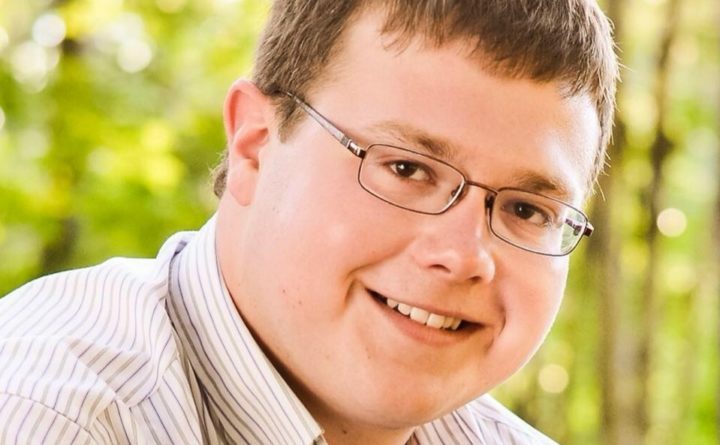 Sean’s funeral Mass will be held at 11 a.m. Thursday at St. John Catholic Church on York Street in Bangor. A private burial will be held at a later date. For more information, visit the Penobscot Heals page on Facebook or call 942-6941. If you or someone you know is struggling with addiction, call 211 or visit www.211maine.org.